A dark and moody moonlight city scape, featuring the Notre Dame. Atmospheric and sketchy silhouetted architecture. 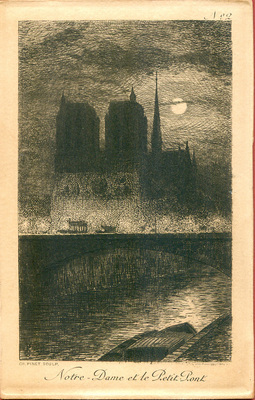 English Translation of Title: "Notre Dame and the Petit Pont (The Small Bridge) "